The Mongolia Charity Rally is unique. Since its inception in 2007, Go Help’s fundraising arm, Charity Rallies, has strived to make all its adventure fundraising events as good as they can be. They have spent years building strong relationships both at home in the UK, and on the ground in Mongolia. Their dedicated office in Mongolia’s ancient capital of Ulaanbaatar is manned by a small but impressive team of locals who have the contacts, the know-how and the enthusiasm to help us and lead their partner projects. Their efforts to give the Mongolian people what they want and need has earned them a positive reputation with the Mongolian authorities and customs with whom they have regular contact, and work close in hand with, to ensure that our endeavours always remain an asset and never become a hindrance. This reputation extends to their partnerships with established associations such as the London Ambulance Service and Save the Children. These relationships are important and they work hard to maintain them. Their personal attention to the teams, their cause and fundraising projects sets them apart from others. Keeping the rallies small they ensure a personal service, an ability to respond in person in a timely fashion and interact personally with the teams. They are also able to keep the Charity run by volunteers, allowing for all 100% donation to charitable causes. The volunteers have experience, drive, charisma, and have all completed at least one of the rally events themselves. They can thus all give advice from experience, understand what teams are going through, the complexities of taking part in an event such as this, and can help in the best way possible. Go Help is always there to help both the participating teams and the volunteers who work so hard to keep Charity Rallies a growing success. The Book Ger Project was setup by Go Help in partnership with the Mongolian Education Alliance. It is a new concept and the first trial is now established and running in Ulaanbaatar. The Book Ger Project provides a comfortable reading and community environment for the children and young people in the outlying districts of Ulaanbaatar. It is stocked with children’s books, magazines and games, and runs activities as well as homework and reading sessions. The purpose of the Book Ger is to encourage children’s interest in books and improve their literacy skills and, in the long term, reduce school dropout rates in the Ger district community. The local children initiate other activities such as taking books to children who have physical impairments, who cannot come to the Book Ger themselves. There are currently 35 children between the ages of 8–15 using the Book Ger regularly and up to a 100 children using it intermittently. The Ambulance Project. Through the Mongolia Charity Rally, Go Help has procured the donation of ambulances to hospitals, clinics and non-governmental organisations (NGOs) working in Mongolia. Since the charity was founded, 22 ambulances have been donated to Go Help, which were then in turn either donated to hospitals, clinics and NGOs, or retained for use in charity projects. 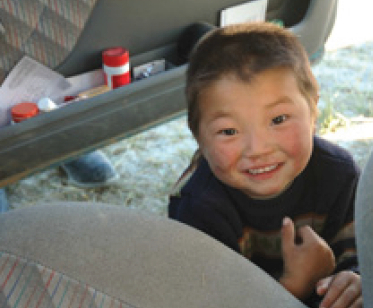 Through its staff in Ulaanbaatar, Go Help works to better understand the shortfall in emergency vehicles in Mongolia, both through independent research and through contacts with the Mongolian Government. The official figures provided to Go Help by the Mongolian government highlighted a shortfall of roughly 100 ambulances across the country. What this figure doesn’t take into account is the many vehicles already allocated to hospitals that are broken, old or lacking medical capabilities. The actual need is far greater than the figures indicate. Since Go Help opened its doors and started facilitating the import of ambulances to Mongolia, a number of other organisations have approached the charity with the hope of obtaining an emergency vehicle. The Book House Project. 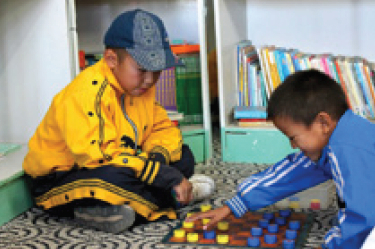 In 2011 Go Help opened the Book House in the Nalaikh District on the outskirts of Ulaanbaatar. The Book House Project aims to increase the reading, writing, listening and speaking skills of the local children and also provides space for mothers and retired people to use for reading and socializing. The Book House is located in the heart of the community, close to homes so local people do not have to travel long distances to take advantage of the activities. About 45 children between the ages of 9-16 use the Book House frequently and we have an average of 23 children using the facilities daily. The Book House has over 1,000 books for children and Go Help organises regular activities such as homework clubs and reading sessions. In an effort to further improve the Book House Project, Go Help is looking to find additional funders to support the charity. The Book House is still in need of essential equipment and facilities, including the installation of electricity, heating and further learning materials. The Helmet Project.Horses and horse riding are synonymous with nomadic life in Mongolia, and from the days of Chingis Khan they have been immortalised by Mongolians as a most trusted and loyal friend. In a country where there are still only 100,000 cars registered, the horse is still a vital mode of transport, as well as the focal point for all Mongolians during the Naadam Festival held in July. as being a few hands shorter in height. However they are the kings of endurance, and able to travel for many days across the steppe, where other breeds would not be able to. Jockeys are traditionally children, aged 4-10, and in a country where there are 100,000 races a year there are many injuries and fatalities. In recent years there have been around 15 deaths each year, which could easily be avoided if children wore helmets. This project aims to distribute riding helmets to children taking part in the horse racing events in the traditional Naadam festival in Mongolia. In 2008, Go Help supplied helmets to child jockeys right across Mongolia, including the winning rider of the biggest Naadam race!